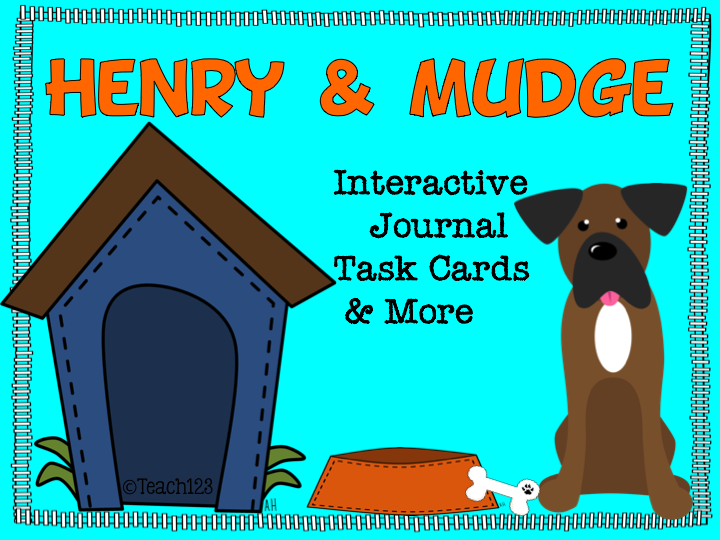 It seems like Henry and Mudge is always a favorite series of my students. What child doesn’t either have a dog or want a dog? And Mudge is such a cute dog! I just finished three Henry & Mudge packets. I bundled these together and added the bundle to my store today. The bundle contains the following books: The First Book, Under the Yellow Moon, and Take the Big Test. 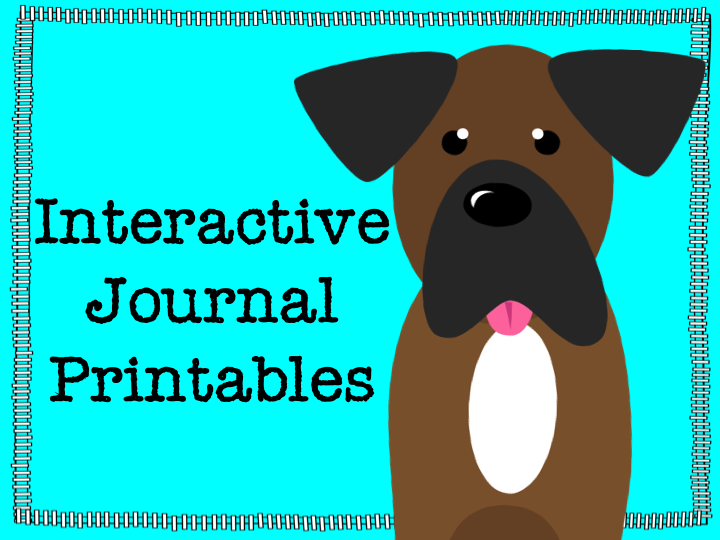 There are 3 different types of interactive journal printables for each book. The first type is facts. 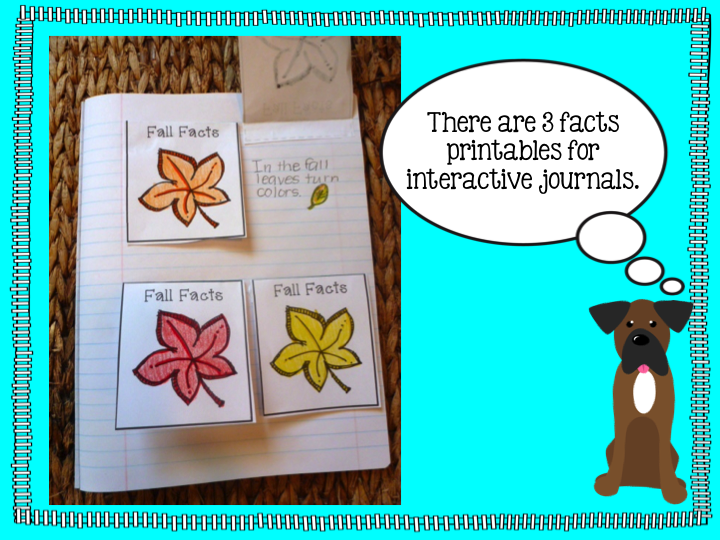 Students will write about fall facts, dog facts, and the needs of dogs. 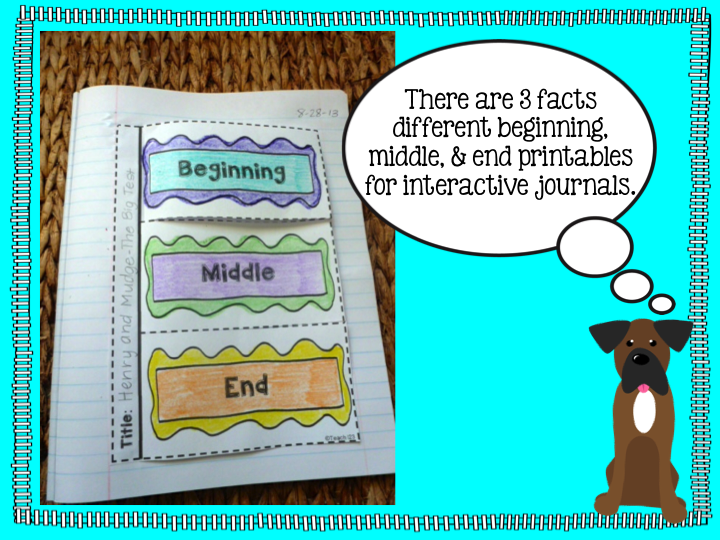 Each book has a beginning, middle, and end printable with a different design. 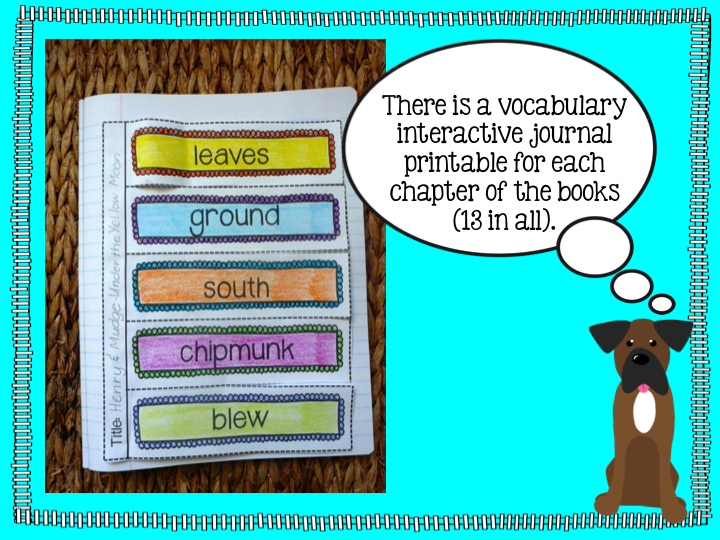 There is a vocabulary printable for each chapter. There are 13 of these in this bundle. This is an open-ended assignment. Students can write definitions, parts of speech, or write a sentence. 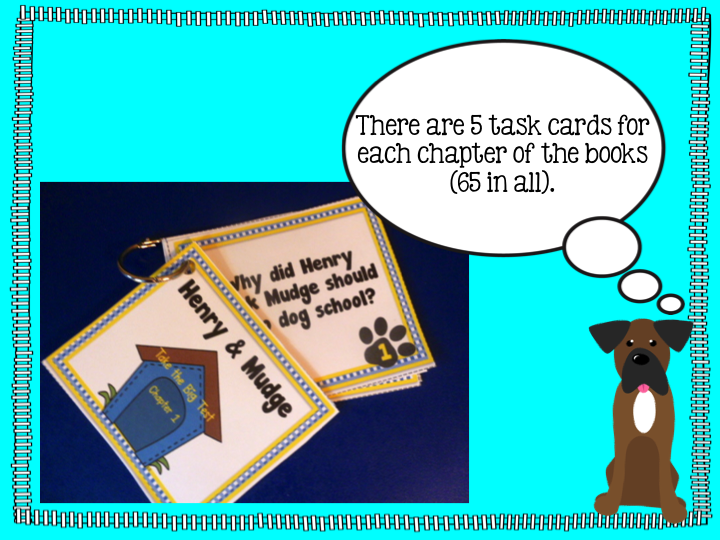 There are 5 task cards for each chapter (65 altogether). 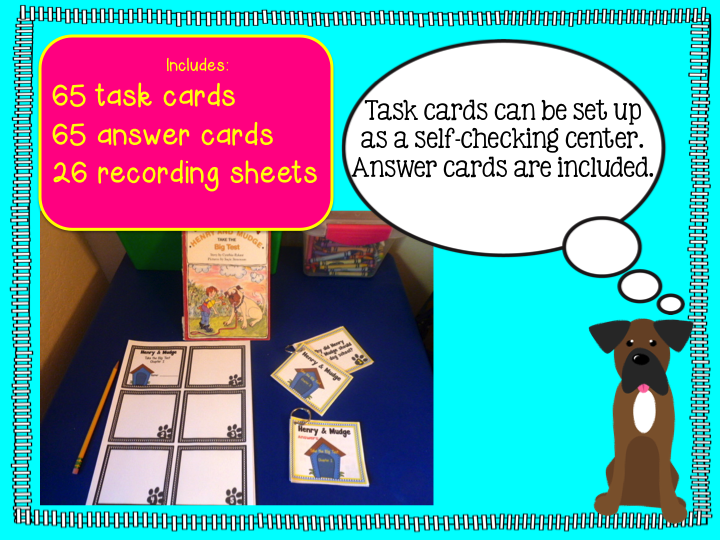 There are answer cards included so this can be set up as a self-checking center. Punch a hole and put the task cards on a ring. The cards are small – the perfect size for small hands. There are 2 recording sheets for each chapter (26 altogether). One has lines and the other one doesn’t. I first introduced you to the “Steal and slide” method last year. Check it out HERE. This method is great with those students who rush through their work. It is also good for test prep because students need to pay close attention to the words in the question. I give tips in the packet for introducing “Steal and slide” to your students. 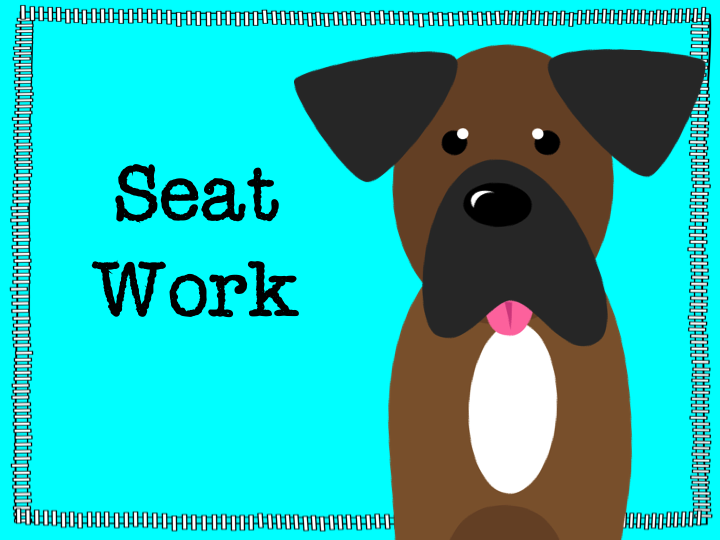 Please note: The same questions are included in the signs (above) for whole group, the seat work assignment, and task cards. 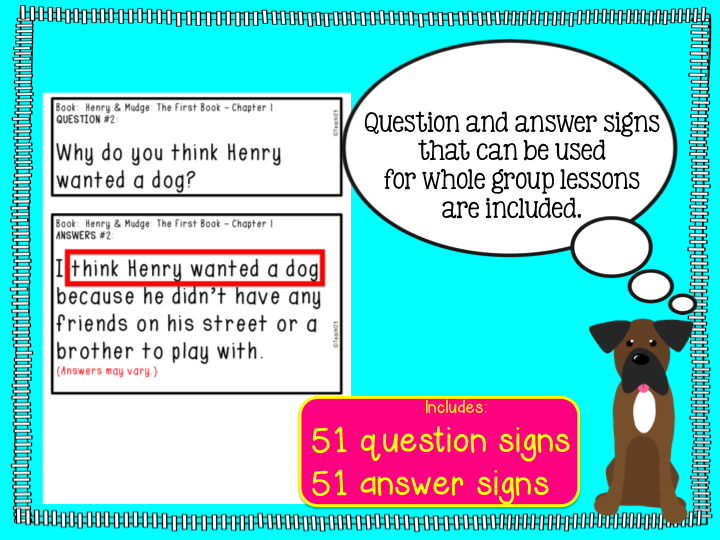 In the beginning, you will use the question signs above in a whole group lessons. 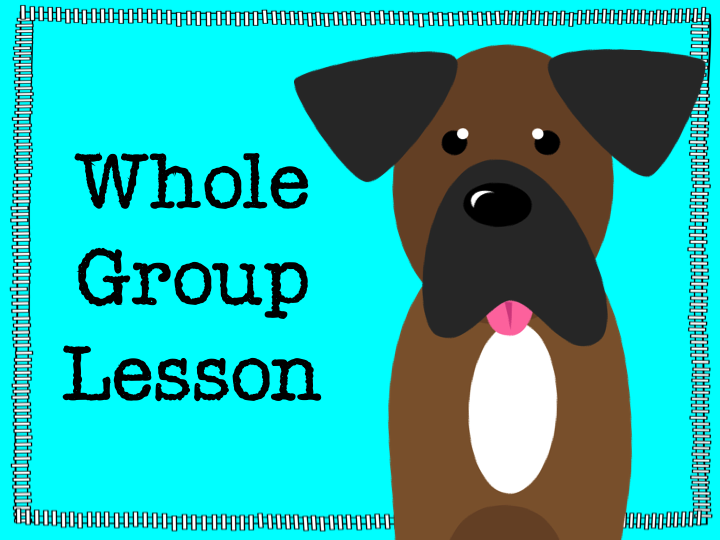 As your students learn this method, you will refresh their memory with one question in whole group and then give them a seat work assignment to complete by themselves. 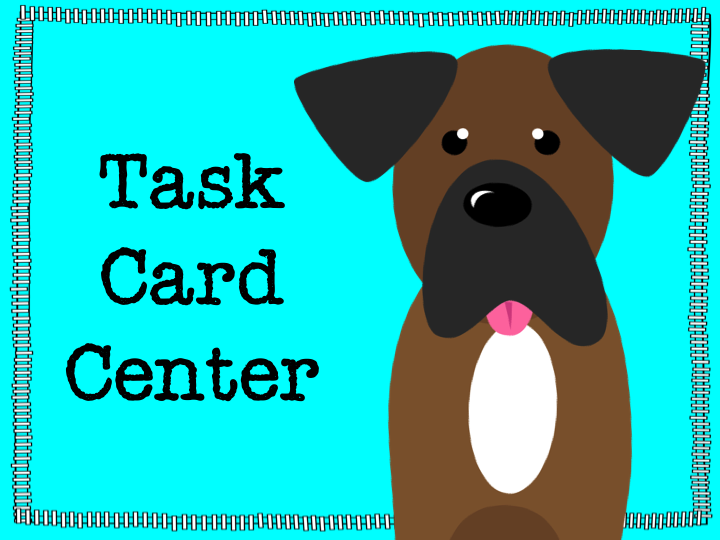 You can use the task cards when your students no longer need teacher support. 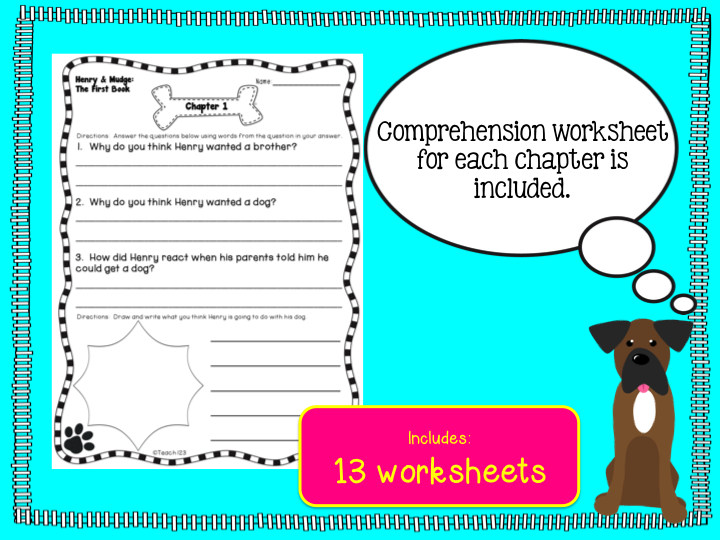 There is one comprehension worksheet for each chapter included. These can be used for seat work.